On the verse in parsha Noach (Genesis 7:11): "In the six-hundredth year in the life of Noah... all wellsprings of the great deep burst open, and the windows of heaven were opened..."
In the 600th year of the 6th millennium [1840 CE] the upper gates of wisdom will be opened and also the wellsprings of wisdom below. This will prepare the world for the 7th millennium like a person prepares himself on Friday for Shabbat, as the sun begins to wane. So it will be here. There is a hint about this in the verse "In the six hundredth year of Noah's life …all the fountains of the great deep were broken up, and the windows of heaven were opened" (Gen. 7:11). The wellsprings of wisdom below is interpreted as the industrial revolution, which according to wikipedia broke out in the 1780s was not felt until 1830s or 1840s. We are still feeling the effects today with all the scientific revolutions that followed. Many Chasidim want to interpret the "upper gates of wisdom" as referring to the rise of Chasidut, which started a bit before that time (the Tanya which is considered by Chabad to be the "the Written Torah of Hasidus" was published between 1797-1814. Chasidut brought many revolutionary interpretations such as that of the Tzimtzum) Historian Rabbi Berel Wein describes the Chasidic movement as "the greatest revolution that ever occurred within the parameters of traditional Judaism". Assuming the Zohar is authentic and that its prediction is correct, is there an alternative interpretation of a great revolution in torah ("upper gates") wisdom around that time that has been fulfilled? I am looking for an alternative interpretation since most religious Jews think a) the Zohar is an ultimate essential primary text, and b) Tanya is not an ultimate essential primary text. Those two premises can't hold given the interpretation presented above. Predictions are a Funny thing, especially when you allow a given year like 1840 to span a large amount of time. The early half of the 1800s was a very "active" period in Jewish history, with many things greatly affecting Jewish life today. During the era, was the formation of Modern Zionism. With the Students of the Vilna Gaon moving to Israel in the 1860s and the "First Alyiah" in the 1880s. In 1836 R. Hirsh wrote his "19 letters" which had a huge impact in shaping how people viewed Judaism. Exactly in 1840, Claude Montefiore, started "Liberal Judaism", an Anti-Zionist version of the "Reform Movement". In 1832 the Ben Ish Chai was born. In 1841, the First modern Jewish School was founded in Vilna, which criticized the Heder System, as well as opposed the Haskalah. In 1838 the Chafetz Chayim, author of the Mishna Brura was born. Basically, every system of Judaism Today, can lay claim to "their" Judaism making it's big world wide impact in 1840, if they really wanted to, assuming that they allow a wide range of years to be counted as "1840". Another ironic piece of history from 1840, is that in that year, Yehudah Aryeh Mi-modena's work Ari Nohem was first published (though it had been written ~300 years earlier) In Ari Nohem, Yehudah Aryeh Mi'Modena "demonstrates that the "Bible of the Kabbalists" (the Zohar) was a modern composition." See Aryeh Morgenstern's Hastening Redemption which discusses the messianic agenda of the Vilna Gaon's student who immigrated to the Land of Israel in the early 19th century. 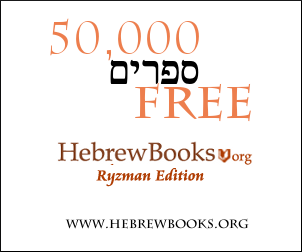 In Chapter 2, "Belief in 5600 (1840) As The Year of Redemption", Morgenstern provides two primary sources for the year 1840, the Zohar cited in your question and an opinion from Sanhedrin 99a. There, R' Dosa says that the days of Moshiach will be 400 years. Morgenstern explains, that since the world was to exist 6000 years, the messianic age had to being no later than 400 years earlier, which would be 5600, or 1840. See the book for a full treatment. See also this biographical sketch of Judah Alkalai who also believed 1840 would be the year of redemption. Not the answer you're looking for? Browse other questions tagged history zohar prophecies prognostications .